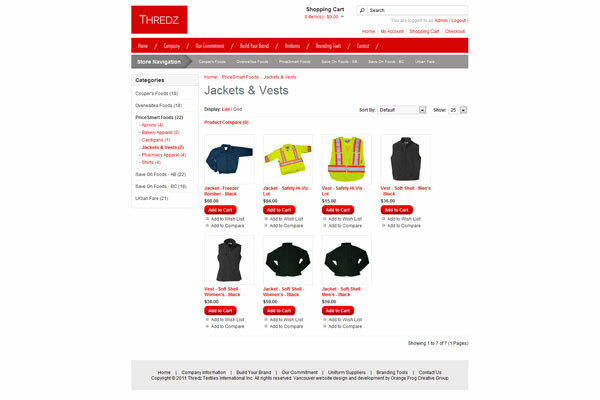 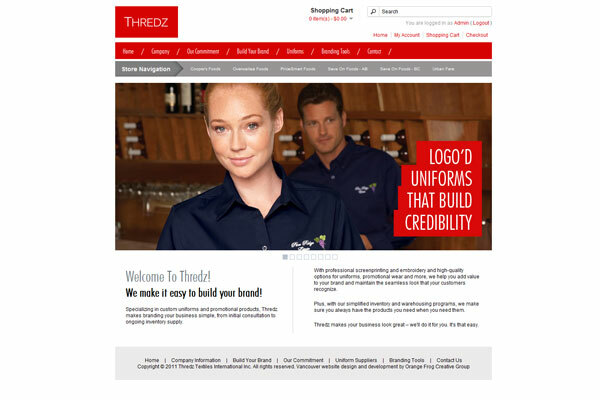 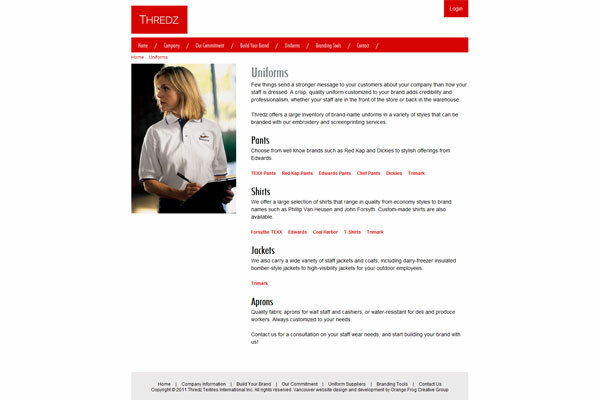 We designed and developed a new website for Thredz Textiles International. 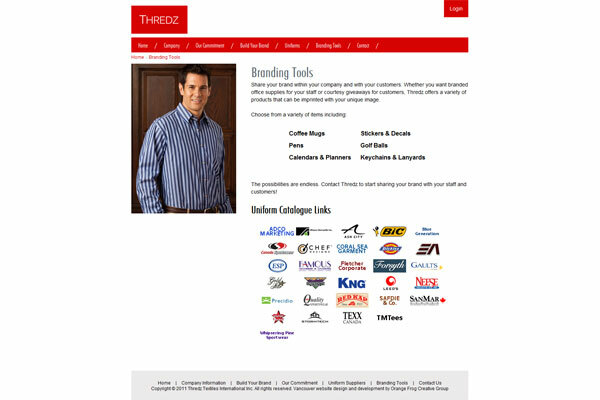 They needed a website that they could have clients login to and order their specific products. 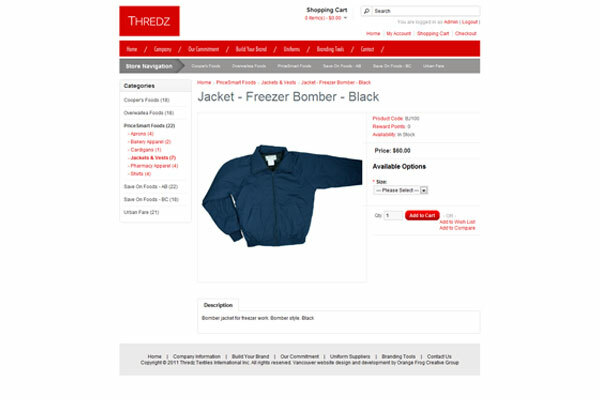 We developed an e-commerce system that allows users to order only certain products from a catalogue that they have been access to. 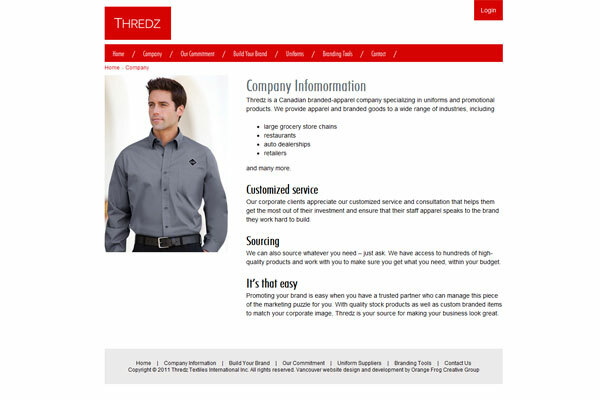 This allows Thredz to use this system for a number of different clients, all only being able to see their specific products.